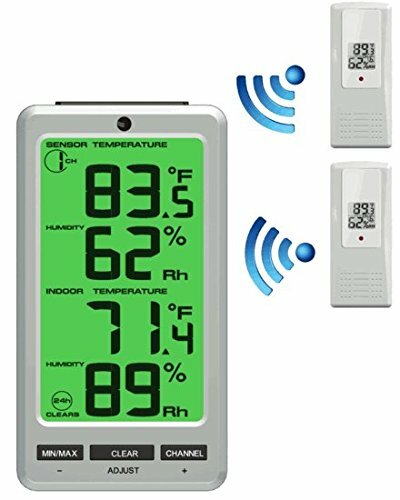 Simple to read, simple to use, and affordable, the WS-10-X4 (ws-10) includes an indoor thermo-hygrometer inside the console, and four remote thermometer-hygrometer sensors (f007th), which are all displayed at the same time. 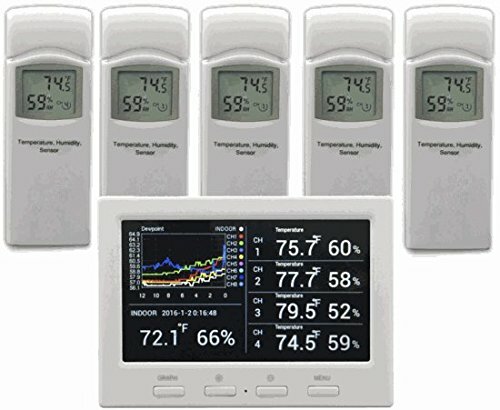 The display console can remotely read and update up to eight remote thermo-hygrometer sensors. The console includes audible and visual alarms when temperature and humidity exceed your pre-set minimum and maximum alarm settings. 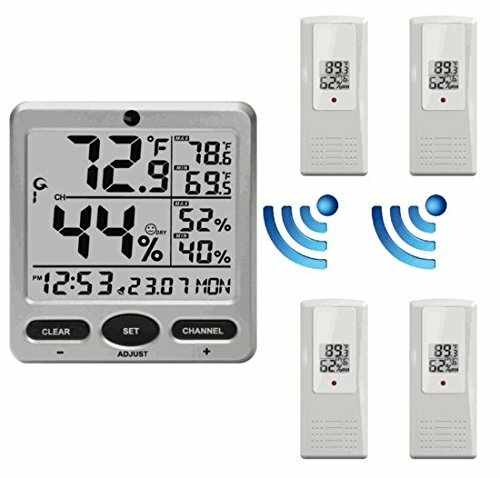 The WS-10-X4 includes four remote thermometer-hygrometers, and four additional sensors can be added (f007th, f007tp, f007t, f007pf) for comprehensive monitoring. 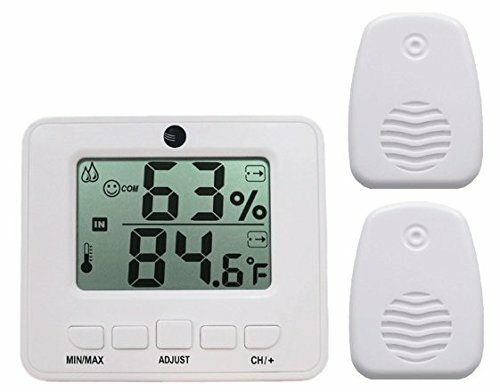 The console displays temperature and humidity, minimum and maximum temperature and humidity, which can be manually reset. 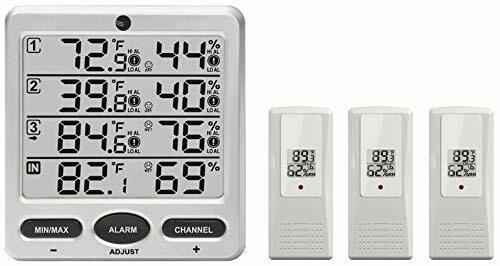 The scroll mode allows you to view the indoor thermometer-hygrometer and channels 4 through 8 without pressing any buttons. In scroll mode, all of the indoor and detected outdoor sensors will be displayed in five second intervals. Each remote sensor includes Dip switches for channel selection and units of measure (degf Vs degc). the sensor search mode allows you to re-sync sensors without removing and re-inserting batteries. 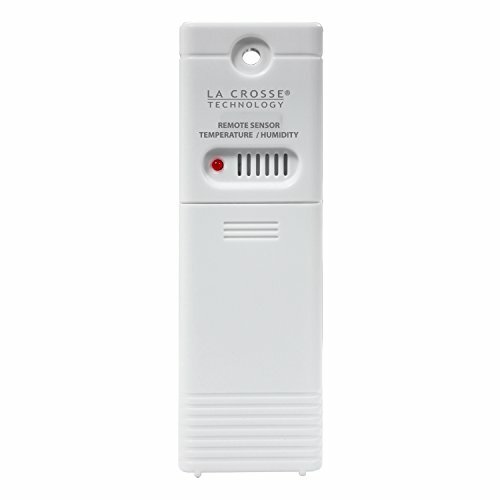 Wireless transmitting sensor sends accurate & fast outdoor temperature &humidity measurements with its 433MHz frequency. Place sensor in a dry, shaded location to protect from moisture build-up and direct sun exposure (may cause higher readings.) good location is on the North side of your house about 18 inches under the eaves. Weather resistant case and battery powered. 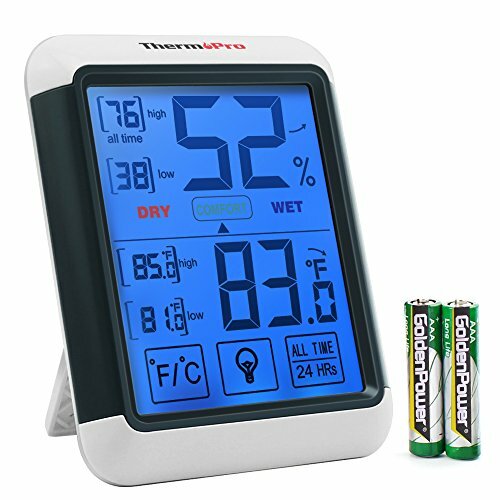 Shopping Results for "Thermo Hygrometer Sensor"